Fonix Events can shape your wedding dreams with hues and colors being the top wedding planner in Kerala. Celebrate your dream wedding inside your dream budget with the top class destination wedding planner In Kerala, Fonix Events. 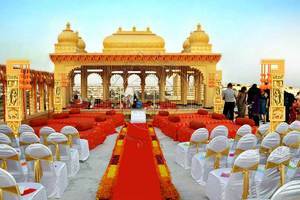 Being one of the leading wedding planners in Kochi, we ensure a truly magnificent setting for your wedding.